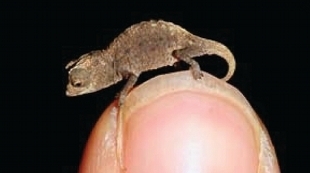 The world's tiniest chameleon, Brookesia micra.FRANK GLAW and JÖRN KÖHLERResearchers described roughly 15,000 to 18,000 new species in 2012, making choosing the most noteworthy a monstrous task. 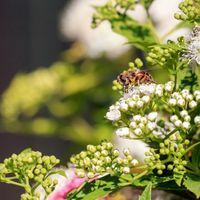 “[It’s] worse than asking me which of my children is my favorite,” quipped Quentin Wheeler, an entomologist at Arizona State University, in an email to The Scientist. 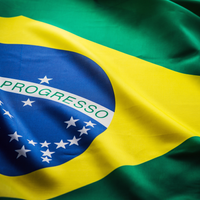 Wheeler and his colleagues at the International Institute for Species Exploration will eventually publish a top ten list of this year’s new species, but the ranking criteria “are as diverse as the species themselves,” he said. In celebration of biodiversity, here a few of 2012’s most exciting new species, and a fond farewell to a few more. One of the newly identified species of slow loris, Nycticebus kayan.CH'IEN C. LEEThe discovery of primate species that are new to science is quite rare, but this year researchers described at least two. Researchers from the United States and United Kingdom stumbled across a previously unrecognized species of slow loris (Nycticebus kayan), small nocturnal primates related to lemurs, while surveying slow lorises in Borneo and the Philippines. Like its relatives, the new species has endearingly wide eyes and small statures—but extremely poisonous bites. Slow lorises lick a toxin-secreting gland on their arm to create venomous saliva, which they use to deter predators. 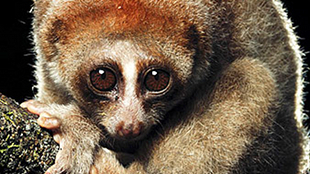 Unfortunately, slow lorises are popular in the pet trade. To keep future owners safe, their captors often remove the loris’s fangs, but this usually ends in the primate’s death, as they can no longer feed properly. Though humans don’t farm or mine the forest, lesulas are threatened by the bush meat trade. Having depleted richer sources of bushmeat, hunters will travel “hundreds of kilometers” to hunt monkeys, Hart said. Smoked bushmeat is then sold in urban centers, where many people have no other protein options. 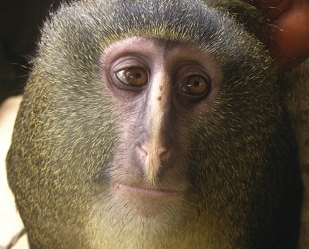 But recognition of the lesula as a new species may aid conservation efforts, he added. Juvenile Brookesia micra.FRANK GLAW and JÖRN KÖHLERFor some animal species, their genitalia are the best way to identify them. Scientists described a new species (Phallostethus cuulong), belonging to the priapum fish family, whose penises erupt from their chins. This bizarre method of identification is the best for Madagascar’s miniature Malagasy leaf chameleons, which can be distinguished by subtle differences in the shape of their hempenes, the reproductive organs held inside their body until mating. But the newest—and tiniest—member, called Brookesia micra, can be easily identified without getting too intimate. 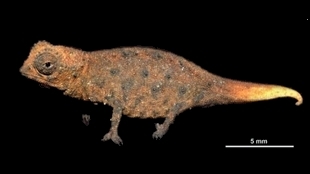 B. micra is about an inch long with “a very, very short tail. The tail has even sometimes a reddish color. 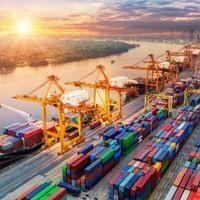 It’s totally unique,” said Miguel Vences, a zoologist at the Technical University of Braunschweig in Germany, who led the study identifying the miniscule critter. The tiny fly belongs to a group that lays their eggs in an ant’s head. 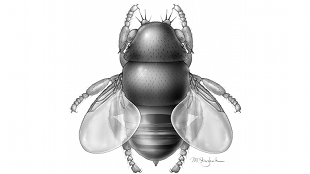 As the fly larvae develop, they feed on the ant’s tissue until “the ant’s head falls off, sometimes as its body is still walking around,” Brown said. Addis Ababa lion.JOERG JUNHOLD and KLAUS EULENBERGER, LEIPZIG ZOOIn another boon for biodiversity, researchers confirmed this year that a population of Ethiopian lions with a unique dark mane are indeed genetically distinct from other lions in other areas. 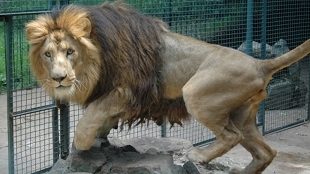 Descended from a founder population collected by Emperor Haile Selassie in 1948, the lions are known to scientists from the Addis Ababa Zoo, though reports of dark-maned lions in the wild also exist. 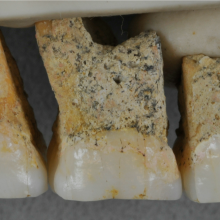 Researchers used the sequence of the mitochondrial cytochrome b gene and various microsatellites to ascertain that the dark-maned lions are genetically separate from other lions. The news has already given the lions a boost, said Susann Bruche, a biologist at Imperial College London and first author of the paper. Zoo officials have raised money for a better lion enclosure, based on natural habitats, which will give the lions more space to breed and maintain their population. 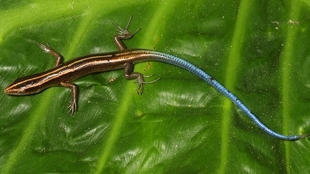 Copper-striped blue-tailed skink.CHRIS BROWN, USGSThe International Union for Conservation of Nature, which puts out the Red List assessing species’ extinction risks, lists 795 species as extinct. But each year, often due to human encroachment, that list grows. Hawaii, the poster child for the havoc wreaked by invasive species—and the heroic efforts to combat them—announced the local extinction of the copper-striped blue-tailed skink this year, possibly due to torment by predatory ants. Luckily, blue-tailed skink populations persist on other Pacific Islands. Japan announced the extinction of the Japanese river otter, an iconic creature not seen for more than 30 years. Japan’s Ministry of Environment also declared several other species extinct, including the least horseshoe bat. Lonesome George.WIKIPEDIA, putnymarkAnd finally, the Galápagos’s Lonesome George, the long-lived Pinta Island giant tortoise believed to be the last of his kind, died this summer. 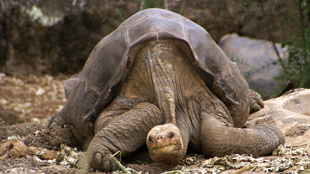 More than 100 years old, Lonesome George was introduced to several female tortoises in hopes of producing hybrids, but the eggs laid never hatched. But amidst the sorrow of his passing, some scientists retain hope. New work by evolutionary biologist Adalgisa Caccone at Yale University suggests that a few Pinta Island tortoises may still exist—and be successfully hybridizing with the locals—at Volcano Wolf on nearby Isabela Island. Caccone and her colleagues compared the DNA of more than 1,600 Volcano Wolf tortoises to a DNA database of extinct tortoises collected from museum specimens, and discovered that 17, including some juveniles, had DNA from C. abingdoni ancestors.